For the love of our furry feline friends, these gorgeous velvety mid heels have a slipper style look with a gorgeous kitten chasing a ball of wool. Stylish and glamorous, these statement womens shoes with neat mid heels are the perfect pair to keep your feet looking pretty and feeling great all day (or night!) long. 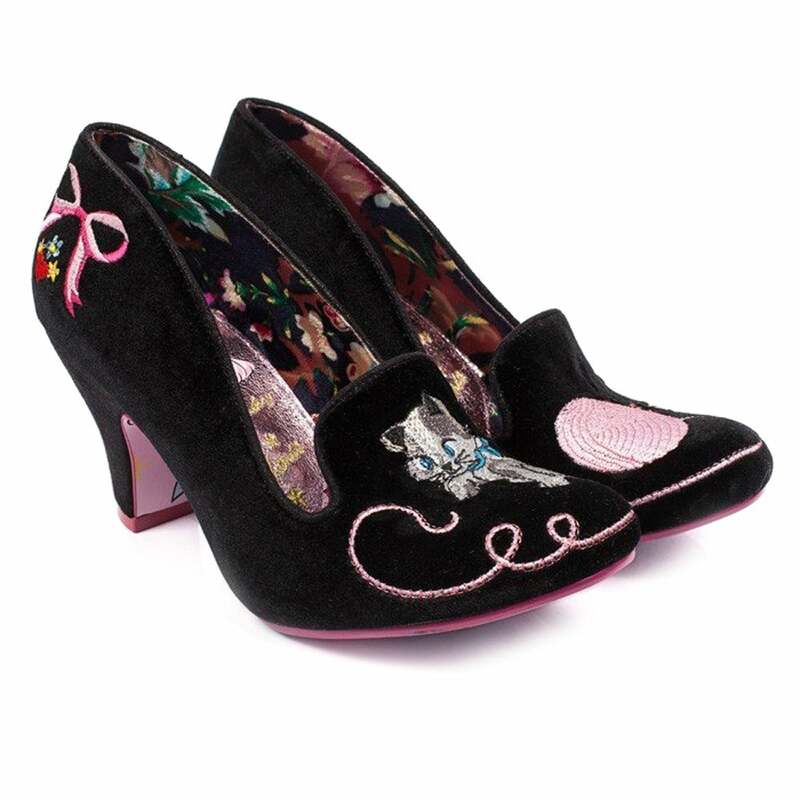 Inside, the womens court shoe is lined with a soft textile carrying a floral print and the and the Irregular Choice branding in gold thread. Even the soles have not been forgotten with their pretty design!